I started the month of January setting goals for the year. I mentioned that my main goal for 2015 is to transition my business from one that offers services to clients to one that offers informational products to customers. This year it will mainly in the form of web design and development books. I spent the rest of January explaining where this comes from. I talked about how I think the market for my services is changing and shrinking. I followed that with talk about the smiling curve and how it pointed the way for adding value through scale or through scarcity. For much of the series of podcasts, I wasn’t specifically talking about my business or the transition I want to make. I was talking about a more general transition I think we should all consider. If you’ll forgive the indulgence I’d like to focus a little on myself today. I want to share my thoughts for why I’m choosing to transition my business the way I am. Something I want to make very clear is this isn’t about me giving up my freelance design business. I’m not letting clients go. I’m not firing them or walking away from them. I do enjoy designing and developing websites and I enjoy helping my clients with the online side of their businesses. This transition is about me not needing more new clients. It’s about adding value to my business. It’s a way to diversify my current business, which is important for the health of any business. Instead of taking on a client project or two, I can use the same time to write a book, maybe two books. For example in 2013 I wrote Design Fundamentals and self published it. By no means has it made me rich, but over the course of 2014 the book brought in about the same amount of money I would have typically charged to design and develop a site for a new client. The book replaced the need for one project in 2014 and I can still sell it in 2015 and beyond. Initially a book won’t bring in as much as a client project. It’ll bring in nothing while you’re working on it, but over longer time frames it can potentially bring more revenue. It scales. As each book continues to sell and replace the need for a client project, my time is freed up to work on another book, which replaces the need for a project in the future and so on. It becomes a cycle that generates its own momentum. Over the last few years, I’ve noticed clients who approached me in the past are choosing something like Squarespace, Medium, or Tumblr or they’ll buy a commercial theme for their CMS of choice. I expect in the future there will be less people contacting me (and other freelancers) for work. Just this past year I noticed a few of my clients from previous years had replaced the site I designed for them with a theme or service. I’ve seen similar throughout the years, but it seems like it happens more frequently each year. Informational products are a way to replace these potential new clients who will no longer contact me. It also adds value on both ends of the smiling curve. I already mentioned that it scales. It won’t pay the same as a client project initially, but it cuts the cord between time and revenue and it can bring in money long after the work is done. It also adds value through scarcity. I’m an author of one. I’ll likely create books and other products that others will also create, but none of them will be me as I won’t be any of them. We’re all unique and despite similar topics we can create unique content. Who’s to say where I’ll be in several years time. I didn’t expect to be here five years ago and I’ve been known to change my mind suddenly and switch focus. I might be earning enough a few years from now to drop design and development work or I may find I miss design and development more than I thought and this whole transition is just a temporary thing. Wanting to transition my business is nothing new. I’ve been talking about it in one form or another for a few years now. I had expected it to revolve around digital products like WordPress themes and plugins, but the last couple of years I wrote two books, which helped change my thinking. Despite setting it as a goal for years, I never really worked at developing themes. The first few months after thinking about it, I did create the beginning of what I thought would be a theme framework. This was a few years ago and the theme had all sorts of option panels and settings like theme frameworks did at the time. Over the years I’ve paid attention to different business models and revenue models that other WordPress businesses employ. I paid attention and thought about the industry, but that’s about it. Then I set a goal to write a book and a few months later I finished a book. I thought it a telling sign. It changed my thinking about the products I want to create, though it wasn’t the only reason. While I enjoy designing and developing websites, I don’t always enjoy the business side of offering design and development services. I’m not one who likes to promote myself, which you can probably tell. I’ve never been crazy about estimating and negotiating prices either. I’ve taught myself to do these and other things well enough to stay in business, but I can’t say I enjoy doing them. I don’t like wondering if I estimated too high or too low or whether I’ve truly understood the scope of the project. I also became a freelancer in large part so I could be my own boss. I think I work best when I’m in charge of me. I do my best work when I know my success or failure is all on me. I need that responsibility to stay interested. Clients aren’t the same as having a boss at a large company, but they are like having a lot of mini-bosses. Some are certainly more enjoyable to work with than others. I’m perfectly fine firing a few bad bosses and I’ve done so in the past. In transitioning to products of any kind, I can do less of the things I don’t like such as negotiating a price and when I do have to negotiate, I can do so from a position of strength. It’s a lot easier to get your price in a negotiation when you’re willing to walk away from a project if you don’t get your price. With products I’ll have other means of earning money making it easier to walk away. But this isn’t just about getting away from things I don’t like. I’ll also be able to do more of the things I do enjoy and I’ll also be moving toward something instead of only away from something. Last summer when writing CSS Animations and Transitions, I spent most of my days writing. My typical day was a lot of blogging in the morning and a lot of work on the book in the afternoon. I found myself missing and at times even craving design work. Some days I just needed to code something, anything. Fortunately there was a lot of code in the book, but I also took on a couple of small client projects. In part it was to help pay the bills, but in part it was to have something I could design and develop. 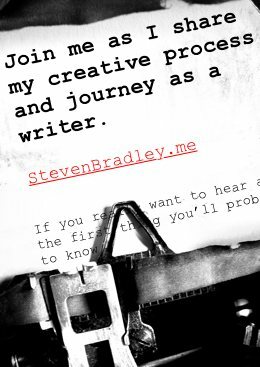 I enjoy both writing (and creating content in general) and design and development, but I think I enjoy the writing more and I’ve always been someone who follows what interests me. Even though I began my freelance career as a front-end developer, I’ve always been more attracted to the creative side of web design. I like solving the visual problems more than coding problems. However, I’m finding front end development is becoming more and more developery with things like Grunt, Gulp, Node.js Git, etc. Even HTML and CSS are moving that way with preprocess, template languages, and similar. While I don’t mind, and even enjoy, learning some of these things, I don’t have any desire to learn all of them. I’m perfectly happy trying different values on some CSS property or reorganizing the HTML structure a little and refreshing my browser to see how it looks and works. It’s how the creative side of me likes to work and explore, but it’s hardly an efficient way to develop a site or run a business. I’m fine setting something as blue, trying a lighter blue, maybe a shade less light, until I find the blue I want. I could focus more on the creative design side, but then I would need to find someone else to handle the developer side and I really do prefer working alone. I’ve wanted to be a writer long before I wanted to be a design. I’ve been thinking about it since I was about 13 or 14 and probably before that I’m not remembering. It’s not always a present thought, but on and off over the years and often at times when I changed jobs or careers, thoughts about writing were there. It’s another telling sign. The transition I want to make will allow me to work with the creative more. It’s not just about me though. I think I can contribute more as a writer. I think I can contribute more to the world in general and the world of web design by writing more than designing. A strength of mine is figuring stuff out and then helping others understand that same stuff. I can learn quickly and in a short amount time find a way to explain it better than it was explained to me. I’ve often been told that I’d make a good teacher. I could never see myself teaching in a classroom at any level, but by writing blog posts and books and creating courses around different topics I think I can. Ironically, I think I’ll become a better designer working on fewer sites. I’ll gain a better understanding of design working on my own sites and exploring where I want to go instead of where a project tells me I have to go. I tend to get the broad view, the wider view, of a subject by reading and learning theory. I usually don’t need to work on a lot of different sites to understand the different contexts and perspectives that sites might have. It’s better for me to go deeper with practice and actively work on fewer sites. I’ll have more control over each, which for me is better than to repeat similar work across a wider set of client sites. It’s harder for me to push past an intermediate stage and move into an expert stage when I’m always having to revisit the same things on every new client site. I think the ceiling is higher for me as a writer than a designer. I have a lot of confidence in myself in general. I’m confident in my ability to design and develop websites and I’m confident in my ability to get better doing both. It’s just that I have more confidence in myself now and the future as a writer. I think writing will take me further and allow me to give more back. And I get to work on my own. I think it’s getting harder and harder to remain a freelance web designer or developer. You go away for a few days and when you come back it feels like everyone is working with a different process and using technologies you hadn’t heard about the week before. Freelancers typically work all aspects of a project. We’re in graphic editors and code editors and perhaps even the command line. I think we’re going to find it harder for us to complete some jobs, because we just don’t have all the knowledge and skills we need. I also think it’s going to be harder to compete on some jobs where a team is also competing because as a team they don’t have the same holes in skills as those of us working alone. Like I said I enjoy working on my own. I’ve never really been good at playing with others and I still have some elementary school report cards to prove it. I’m better when I’m solving problems and answering questions of my own creation and when I’m given free reign over finding the solution or answer. The ever changing technology continues to move at a faster pace than I’d like to learn. I think it’s becoming more difficult for a lone freelancer to keep up. I stand by what I’ve said in the past about not having to learn everything. Some things will fade away and others repeat what you already do in a different way. Still there are some things you have to learn to keep up with the industry. For example I think anyone not working with CSS preprocessors is going to fall behind, because they can help you work more efficiently. Something as simple as adding variables to CSS helps me work smarter and better. I can only imagine how much it helps teams. I’ve been a generalist most of my life. I’d rather know nothing about everything than everything about nothing. As I get older though, I find I want to learn slower and deeper. I want to take more of my time to explore fewer subjects in greater depth than I have in the past. I also find myself less interested in some of the problems that are coming for web designers and developers. I’ll be glad to see these problems solved and I’ll be happy to learn the solutions and teach others. I’m just not sure I need to or want to be one of the people trying to solve them in the first place. Despite thinking anyone can be a great designer or developer at any age, I find myself wanting to manage technology less and less each year. I still enjoy learning about technology, but there are more and more things I only do because I have to and not because I want to. I don’t feel the same way about writing or content creation in general. I find myself getting lost in the learning more and find myself in some kind of a studying flow. I have fun experimenting with the design and development things I learn in order to write an article, but I have less fun applying what I’ve learned to real projects. I’ve been thinking about and talking about this transition for several years. Again I thought the products would be themes, plugins, and similar until I decided to write a book and my thinking changed. Now the plan is to create and sell informational products. Books about web design and web development are the first step, though there are more steps to come. I’ll share at an appropriate time. I don’t expect to have time for anything beyond this first step this year. In 2015 I want to focus on creating products and of course I still have a freelance design and development business to maintain. I’ll be working on books in between client projects. I have a variety of reasons for making this transition and I think freelancers in general should be thinking along similar lines. I don’t mean others should specifically transition the same way I am, but I do think freelance designers and developers would be smart to think about the near future and what the market might look like and what it might want. Start to prepare yourself now for what will likely happen a few years down the road. In the end it’s easier to see myself waking up in a few years thinking about what I’d like to create that day than waking up thinking about the tasks I have to do to keep a client project on track. It’s easier for me to envision a future without all the business stuff, but with all the creativity stuff. It’s easier to see myself focusing on the creative than the business. I simply like writing more. I prefer the act of creation to the act of negotiation. I’ll be the first to admit that I could be wrong about a lot of this, but I don’t think I am. I’d encourage you to think about what I’ve been saying the last month and pay attention to what’s going on in the industry and the market for your services. I’m sure I’ll revisit this topic from time to time, but for now let’s call the series closed and move on to something else.